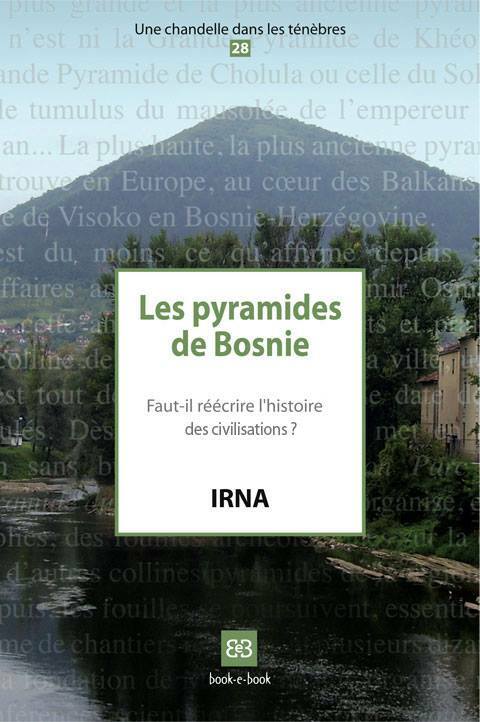 It seems that some people, inside the "Bosnian pyramid of the Sun" Foundation, have begun to distanciate themselves from it and its foundator. It may particularly be the case with Senad Hodovic, Director of Visoko Museum, who was the official "guaranty" of the project, and who was not exactly the same kind of "pyramidomaniac" as Mr. Osmanagic (see here). At least that’s what could be deduced from an article (bs) published a few days ago by Sarajevo magazine BHDani (the original text, on the magazine website, can be read only by members, but a copy can be seen here (bs)). "There is a problem in the Foundation. I’m really tired, and am not involved in the leading team of the Foundation. I will not forsake them, but I will not accept the role of project director, because I do not want a cent to come to me or to the Museum. I have to control the professionalism and the legality, for the rest others are responsible." It is not perfectly clear, but one can get the impression that there are at least a few disagreements inside the Foundation. Mr. Hodovic says also : "For the present, the Foundation cannot work without Mr. Osmanagic who is its main creator". This sentence is an answer to some critics that began to rise inside the team itself, as some diggers, while still convinced of the existence of the pyramids, have told in confidence to the journalists that Mr. Osmanagic ideas and claims could endanger the project, and that it would be better that someone else become president of the Foundation. In the same article one can learn also that some of these diggers are quite upset about their working conditions : no insurance, no contract, low and irregular wages ; they complain that the finances are quite "opaque", for instance it’s impossible to learn who is payed and who is voluntary. It seems that some people have already quitted, following the example of Sead Pilav, this yound archaeologist who left the project after only three days, considering that it was more a kind of "reality show" than a serious archaeological project. then the fact that, despite a high number of donators, the Foundation banking account, that Mr. Osmanagic and his relative Mr. Gerussi manage alone, contains only a very small sum (two or three thousand KM - Convertible Marks, with the same value as Deutsche Mark) ; they affirm that Mr. Gerussi receives from the Foundation a salary of 2000 to 2500 KM each month, when at the same time Mr. Gerussi explains that the local and foreign scientists who work on the ground are not payed and receive only a compensation for their expenses.